APRP is a fantastic method of anti-ageing treatment now being offered at our clinics, allowing rejuvenation and repair of the skin, using the patient’s own (autologous) cells, with long lasting effects. Anti-ageing medicine: What happens when we get older? Changes in skin texture, firmness, radiance, volume, flexibility, elasticity and then on to wrinkle formation. Platelets are packed with numerous different growth factors in the blood (at least 7 well known factors) and they have an incredible capacity to stimulate local stem cells to make NEW tissue – in the skin this can be fibroblasts (cells that make collagen), the collagen itself, keratinocytes (the predominant cells in the outer epidermal layer that give skin its lustre and glow) and other factors that lead to cell REPAIR and restoration. A sample of your own blood is drawn and immediately spun in a centrifuge. This separates the red blood cells from the plasma, platelets and other components. The platelet rich portion of the plasma can then be removed and used for any aesthetic purpose. This platelet-rich plasma contains a number of different growth factors needed to generate new skin cells, as well as having a variety of proteins, enzymes, albumen, fibrinogen and many of the essential amino acids that optimise skin health. The rejuvenated skin appears younger, more elastic, thicker, tighter, more radiant and patients report an “Anti-ageing” effect. After topical anaesthetic cream has been applied to the problem area, your own plasma is injected and acts as a catalyst, releasing its protein-rich healing factors, the white cells and platelets. The cascade effect of the natural healing processes causes the gradual regeneration of the skin and the subcutaneous structures. Which areas is it specifically recommended for? Faster healing – PLT accelerate tissue synthesis. Cost effectiveness – No need for external substances. 40 – 50 years: In this age category the aim is rejuvenation and to attempt a reversal of the ageing process which is more difficult. More re-stimulation of collagen and elastin production is necessary. The initial treatment should be followed by a second treatment 3-6 months later and a third treatment 9 months after the second treatment. Follow-up ‘maintenance’ treatments may be necessary every 12-18 months. 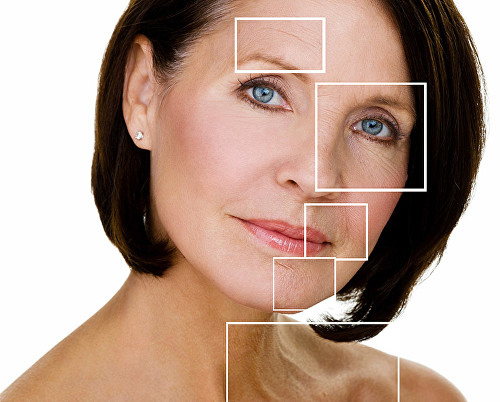 Age 50+ years: In this age category the aim is rejuvenation and to attempt a more intense reversal of the ageing process. The initial treatment should be followed by a second treatment 3-6 months later and a third treatment 6 months after the second treatment. Follow-up ‘maintenance’ treatments may be necessary every 12 months. APRP Therapy is a very straightforward treatment. The entire treatment from the blood draw to completion is usually less than an hour. It is a very safe treatment because the plasma used is from your own body and therefore eliminates any risk of allergic reaction or rejection. Therapy is usually administered via two or three treatment sessions taken a number of months apart, depending upon the areas treated and the desired results. Your personal plasma therapy plan will be assessed as part of your medical consultation. The frequency of treatment and maintenance will depend on the initial condition of your skin, taking into account your age, the effects of sun damage, alcohol and smoking, and your desired treatment outcomes. This treatment gradually increases the skin’s production of collagen, improving skin thickness and the overall texture, tone and health of the skin. In most cases, improvements start to appear as early as 3-4 weeks after the first treatment. In many instances, APRP Therapy is combined with dermal filler treatment using products such as Juvéderm. This combination, in our experience, is likely to yield the most impressive and optimal results. Please note: A noticeable improvement in skin characteristics is not to be expected within the first 3 months as this is a long-term anti-ageing treatment mechanism. Despite this, many patients do report a tightening of the skin and a “glow” within the first few weeks although this response is variable. It is important to be patient after this treatment and to accept that it may need to be repeated if the results are sub-optimal after a single treatment. Our aesthetics co-ordinators will be happy to advise in these circumstances. 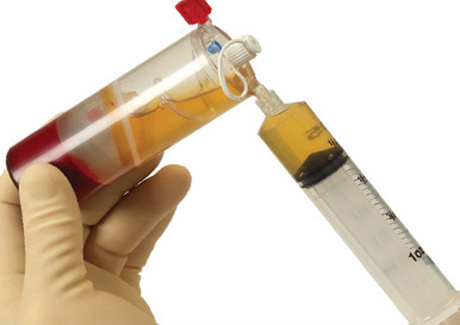 No, Autologous Platelet Rich Plasma Treatment does not hurt. There may be some minor discomfort and a small risk of bruising but most patients tolerate this treatment without any distress at all.